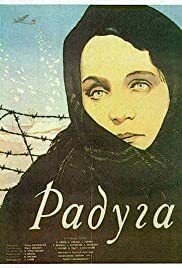 Depicts life in a Nazi-occupied village in Ukraine at the beginning of World War II from the view point of the terrorized villagers. The Most Outstanding Film to Come Out of the War! Characters in this low-quality propaganda-movie are so phony they're not characters at all, just living cartoons with stock personalities: the wicked Germans, the male collaborator, the female collaborator-concubine, the enduring villagers, the patriotic Orthodox priest, the innocent children, the conscious female teacher, the partisans. The script is so childish you think it was meant for 5-year-olds or maybe for a village public that had never seen a motion picture in their life. The only moments my resigned boredom was interrupted was when one or two points where naivety touched comical levels caused amused giggles among the public (including me). The director, Mark Donskoy, has shot The Childhood of Maxim Gorky and The horse that Cried, which, although not special, are passable movies. But here he has really touched bottom.